1. Soak channa overnight. Boil it with little salt & then allow it to cool. 2. Drain water (preserve as stock for innumerable uses) & coarsely ground channas once it is cooled. Add little water to grind if required. 3. Mix in onions, chillies & other ingredients. 4. Now form into small balls, slightly press them to flatten. 5. Heat a flat bottom pan, add ½ tablespoon oil and gently place the flattened balls on and around the oil. Allow the kebab to cook from one side on low flame for about 5-7 minutes, then gently turn it around and let it cook from the other side. 6. Serve hot with chutney. 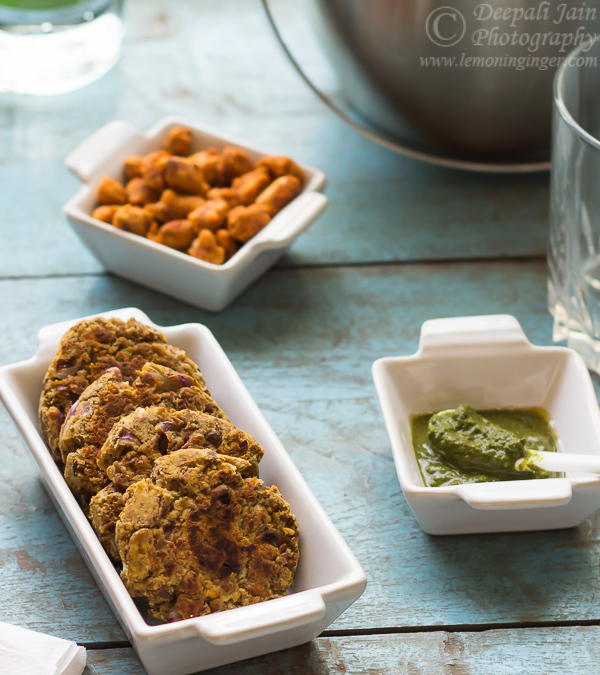 A healthier version of my all-time party favourite deep-fried Black Chana Kebabs. Get recipes, tips and inspiration sent straight to your inbox.